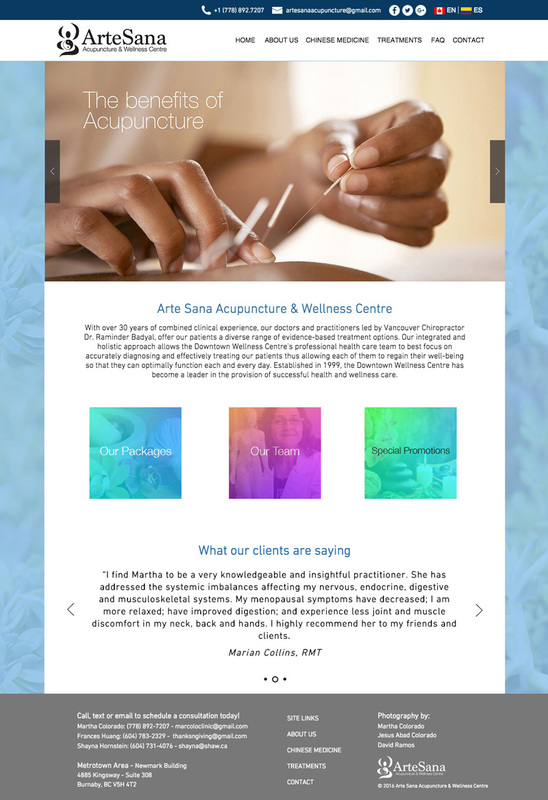 What is ArteSana Acupuncture & Wellness Centre? 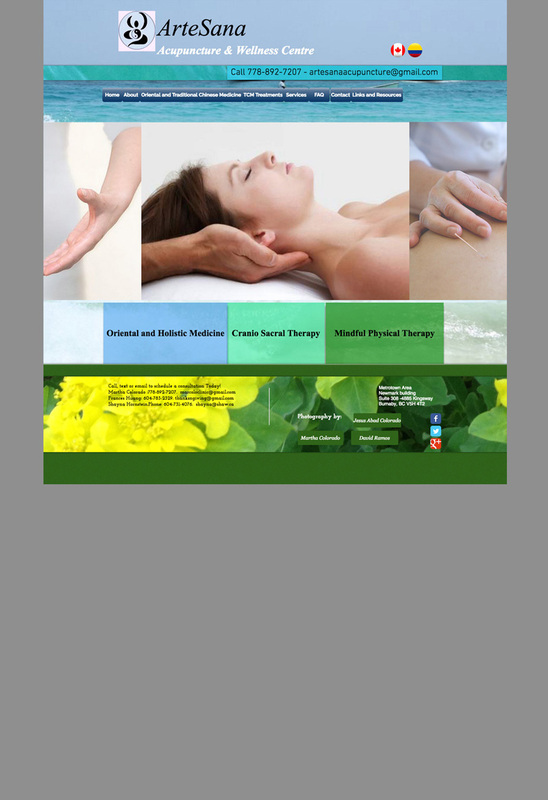 ArteSana is an Acupuncture clinic located in Burnaby that offer services in the Eastern medicine and wellness segment. They needed a redesign for their website and it was a good opportunity to do a complete UX/UI project to improve their web presence focusing on the needs of the targeted audience. 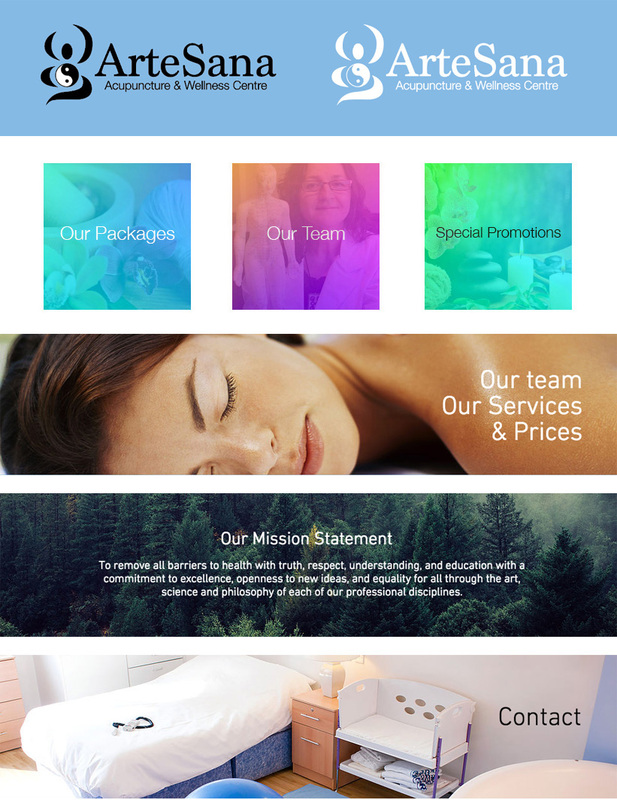 The first step in the process was to meet with the client to understand their needs and to understand the wellness business as a market in Vancouver. 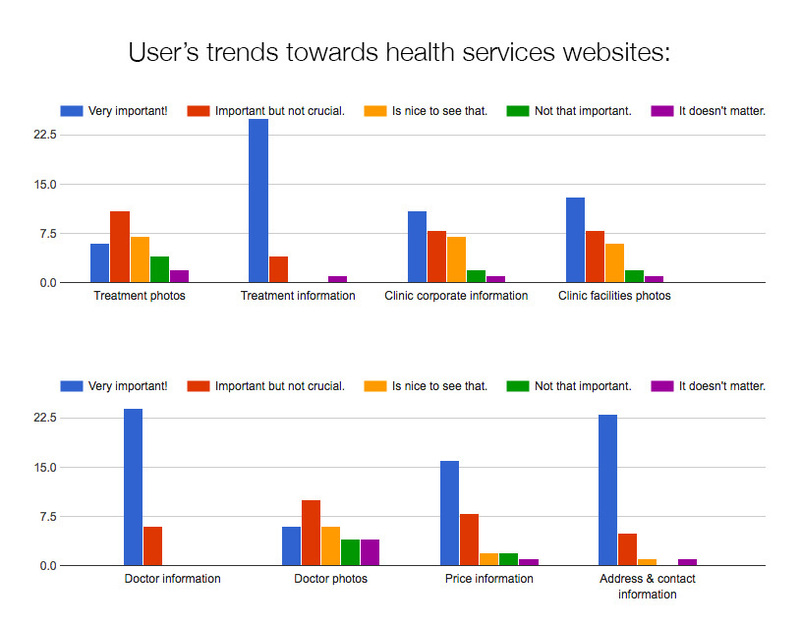 With this insight I conducted a research surveying 30 people asking about their behaviour around extended health services and specifically about their preferences when visiting wellness oriented websites. The data was important to create a new user flow prioritizing specific information like treatments, doctor’s info, prices, packages and appointment booking. On a second level of information we have the content about Eastern medicine, the frequent asked questions and links to related websites. This new user flow allows a faster and more accurate experience to the user with plenty of secondary information to navigate. The client’s current website was designed using a specific web service platform and this was something that I had to take into consideration when creating the interface for the new version. The result of using a specific platform had opposite consequences on the UI work: the motion aspect of design was a bit impaired but on the other hand the navigation became simpler and effective. Another important part of this redesign was to elevate the photography used in the website focusing on quality rather than quantity. The project is under development but the user testing had positive feedbacks specially about the user flow that allows the user to easily know what their consider to be the most important things: what, where, who and how much.